Legendary composer Pyotr Ilyich Tchaikovsky is renowned for his symphonies as well as having created several of history’s most famous musical accompaniments to dance. He scored some of the greatest ballets of all time, such as Swan Lake, Sleeping Beauty, Onegin and Anna Karenina. Eifman Ballet of St. Petersburg returns to The Music Center with Tchaikovsky, a grand artistic ballet exploring the intriguing composer’s life and creative drive. 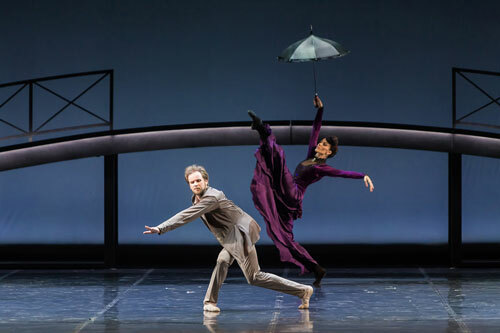 Boris Eifman’s enigmatic contemporary choreography highlights Tchaikovsky’s complicated sexuality and his journey through the creative process. Set to Tchaikovsky’s most popular pieces, the ballet showcases characters from his work who materialize as demons, fairies, and other fantastical characters, pushing and pulling him from torment to the brink of ecstasy. Please be advised this engagement uses theatrical haze and fog. Due to mature content, this engagement is recommend for patrons 15+. 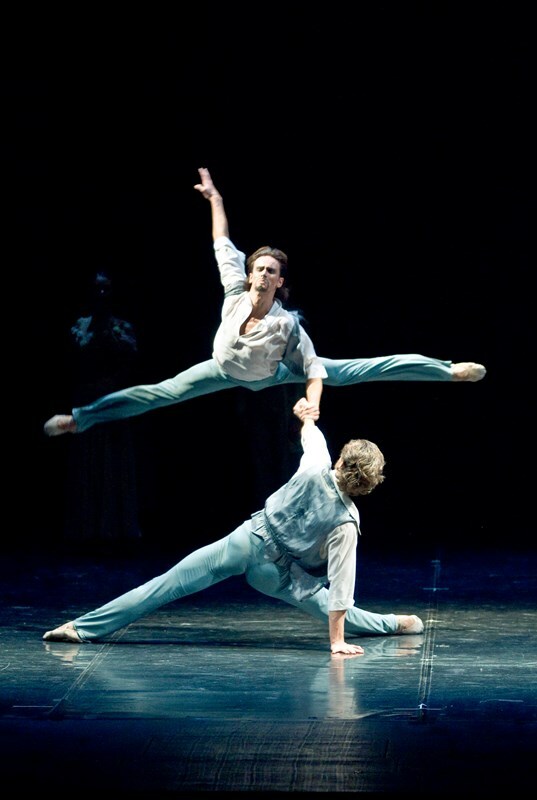 As part of its current North American tour, this two-date engagement in Los Angeles sees the legendary St Petersburg-based Eifman Company perform a full-length, specially created ballet that celebrates and explores the life of Tchaikovsky himself, through showcasing his artistic creations and often-tortured concealed sexuality. A new and exciting vision of the great composer himself, through the medium of ballet. Created by Boris Eifman in 1993, his contemporary biographically inspired work showcases both classic and contemporary choreography, whilst throwing new light onto Tchaikovsky’s complicated personal life, and his often arduous journey through the creative process. The orchestra plays a set of Tchaikovsky’s most popular pieces, whilst the narrative brings forth familiar characters from the composer’s work who appear as fantastical creatures such as demons and fairies fairies, pushing and pulling him between the throes of passion and torment. Angelenos will discover the personal struggles behind the success of world-renown composer Pyotr Ilyich Tchaikovsky as The Music Center welcomes Eifman Ballet of St. Petersburg’s Tchaikovsky on June 23-25, 2017 as part of the Glorya Kaufman Presents Dance at The Music Center 2016-2017 season. 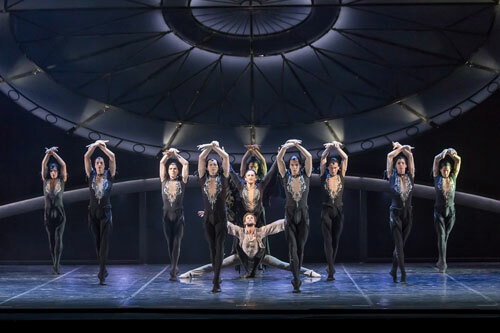 The ballet reflects the famed choreographer Boris Eifman’s in-depth research of the great composer’s personal and creative worlds and the environment that led to his torment. A new version of the ballet that originally debuted in 1993, this current production highlights the modern artistic and technological possibilities of ballet theatre. Friday, June 23 7:30 p.m.
Saturday, June 24 7:30 p.m.
Sunday, June 25 2:00 p.m.
Glorya Kaufman Presents Dance at The Music Center is one of the leading presenters of dance on the West Coast. The celebrated series offers significant works by prestigious ballet and contemporary dance artists from around the world. Entering its second decade, Dance at The Music Center is a powerful commissioning force, supporting new works and artists-in-residence projects by today’s most influential companies and choreographers. 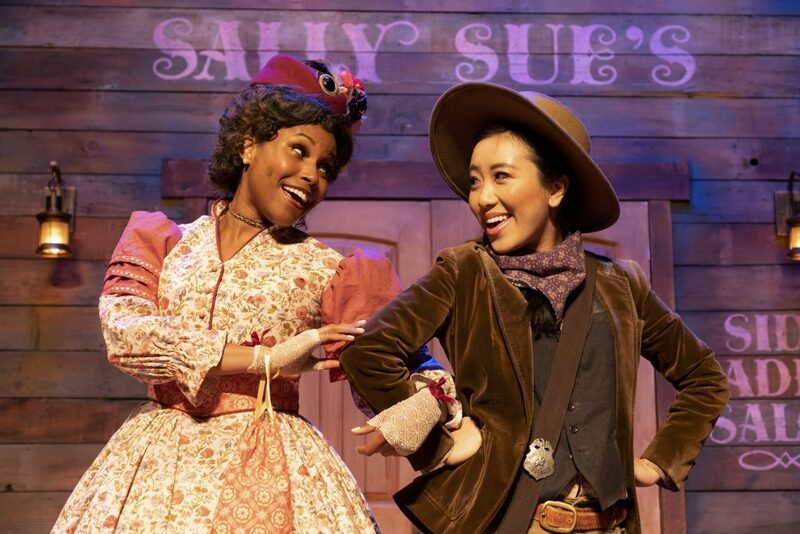 Performances take place throughout The Music Center, including the historic Dorothy Chandler Pavilion, the distinctive Ahmanson Theatre and the iconic Walt Disney Concert Hall, and in locations around the Los Angeles area. As L.A.’s performing arts destination, The Music Center is L.A.’s home to the world’s greatest artistic programs and events. With four iconic theaters and four renowned resident companies – Center Theatre Group, the LA Master Chorale, the LA Opera and the LA Philharmonic – and recognized for its illustrious dance programming, Glorya Kaufman Presents Dance at The Music Center, The Music Center is a destination where audiences find inspiration in the very best of live performance, as well as nationally recognized arts education and participatory arts experiences. With The Music Center On Location, the non-profit performing arts organization brings events and activities to locations outside of its Downtown Los Angeles campus. The Music Center also programs and manages Grand Park, a 12-acre adjacent greenspace, with year-round free programming. For more information, visit musiccenter.org Follow The Music Center on Facebook, Twitter, Instagram and Snapchat (@MusicCenterLA).